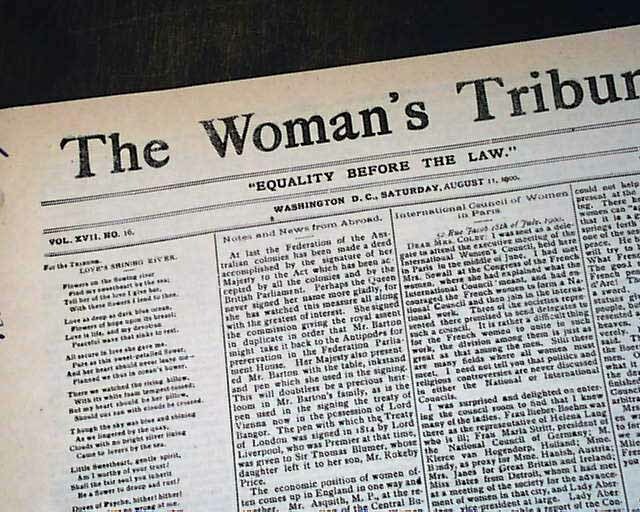 Their motto in the masthead: "Equality Before The Law". 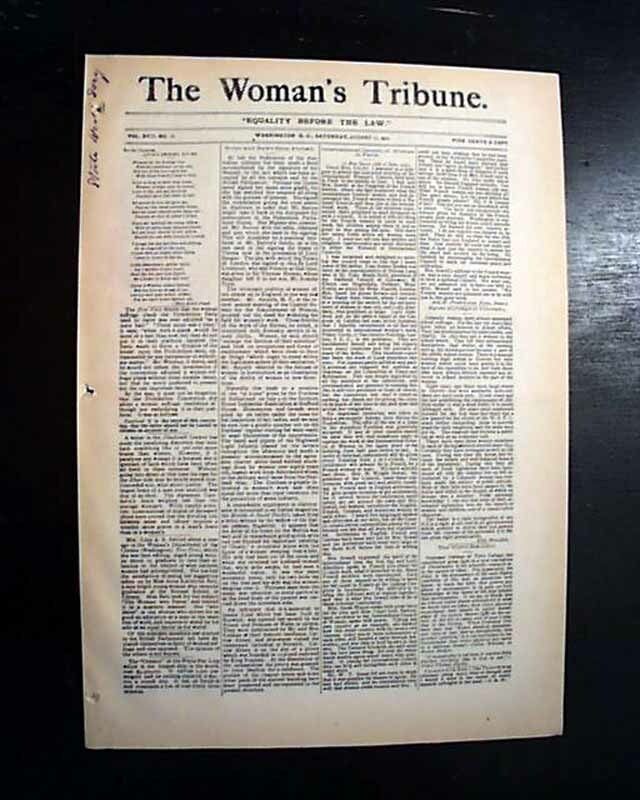 This was the country's leading women's suffrage publication having begun in Beatrice, Nebraska, before moving to Washington, D.C. 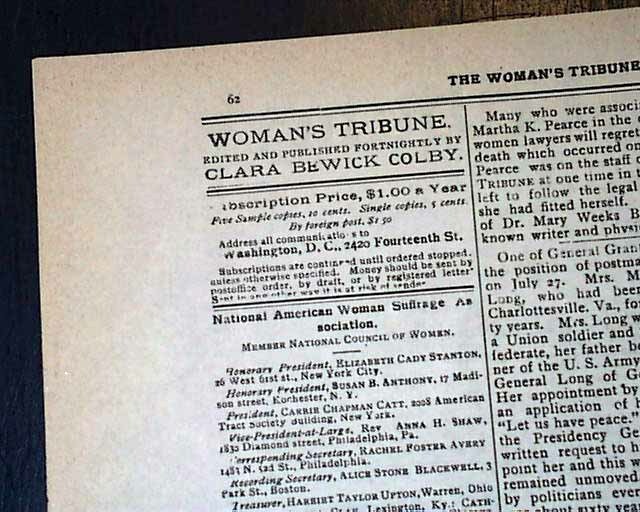 Published by Clara Bewick Colby, a women's rights activist & suffragist leader, she was a war correspondent during the Spanish-American War, the first woman to be so recognized. 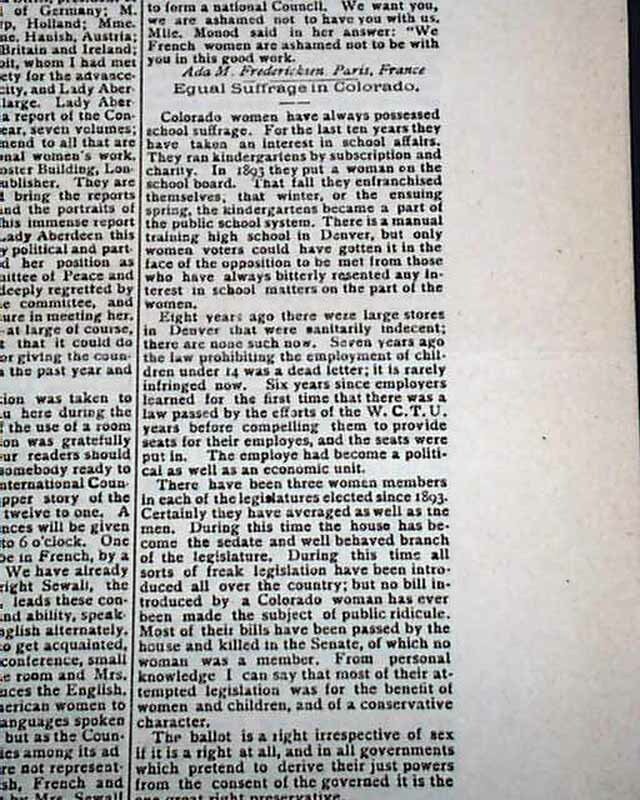 As would be suspected the content is primarily focused on women's rights and suffrage. Four pages, tabloid size, 3 small binding holes at the blank spine, generally nice.